The Sintered NdFeB Blocks are widely used in wind generators, meters, sensors, aerospace, automotive, electronics, electro-acoustic, communications, instrumentation, medical equipment and other a permanent magnetic field devices and equipment. 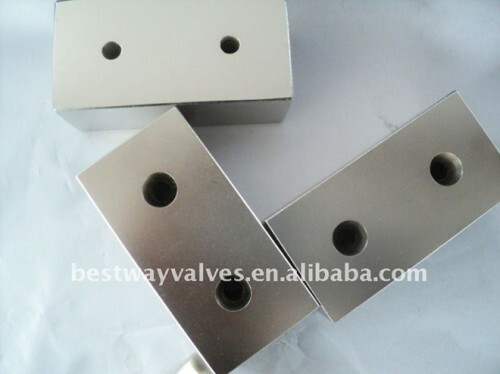 It is usually need surface treatment according to customer's requirements to protect magnet. Different coating Metallic Zinc, Nickel, Nickel+Nickel, Copper+Nickel, Nickel+Copper+Nickel, Gold, Organic Epoxy, Nickel+Epoxy coating . As for the size we could produce according your request . 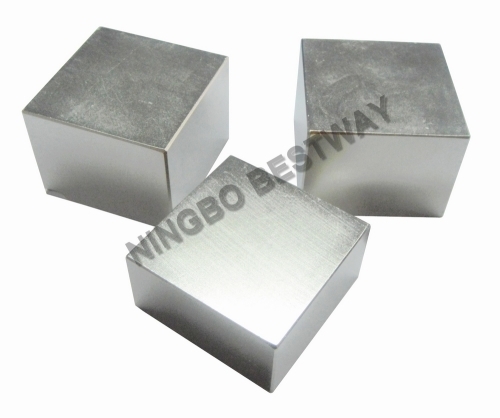 Here is the physical characteristis of NdFeB Magnet from N35 Grade to N42 Grade ,you are welcome to visit our website or contact us for more grades . Permanent magnet generator, NdFeB magnet is an alloy magnet made from Nd,Fe,B and other metal elements,which has the high remanence,high coercive force,high energy and high performance/cost ratio.The highest magnetic properties is from 33MGOe to 52MGOe,and we are able to control the magnetic properties within the range as you demanded,like SH,UH,EH such high stable properties could be produced as per your industrial application. Neodymium Magnet are the most powerful commercially produced magnets. 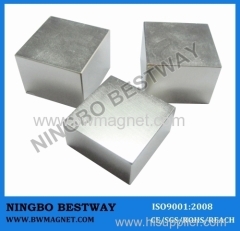 Neodymium Magnet have a higher Maximum Energy Product, (BH).max, which can easily reach 30 MGOe and even goes up to 50 MGOe. Neodymium Magnet can replace SmCo magnets in most cases, especially where operating temperature is less than 80 degrees Centigrade. Neodymium Magnet has very high strength. Sintered NdFeB magnet are with different grades,please check the following performance properties of each grade.